Bass is the very backbone upon which so many genres of music are built. From driving rock to cutting-edge dance, there is a huge variety of ways to approach bass and ways in which you should play or program your low-end notes. 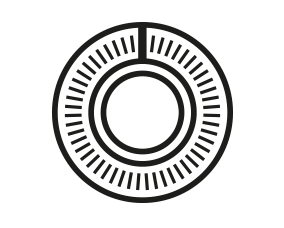 Broadly speaking, though, you should always tame a bass sound with a compressor and keep it in check with EQ, and that’s what we explored last time around when we looked at how to keep both kick and bass sounds in check within a mix. Part of the use of compression is to keep the bassline consistent and solid, very much keeping things in order. This time around, however, we’re going to go a little wilder for our low end. Like we say, some music demands the tamer bass sounds that we covered last time; other music demands something with a bit more movement; something a bit more in-your-face, bass-wise! Dance music has put a lot of pressure on the bassline over the last few decades, from causing it to squeal when rave first appeared, through the wobble of dusbstep, going right up to date with many of the genre’s – and its many subgenres’ – more frenetic and dramatic basslines. Essentially, dance music often demands that bass moves in many different ways. For acid and rave, this was pretty simple stuff. The Roland TB-303 bassline was the machine of choice for many producers back in the late 80s and early 90s, and it lent itself to being abused well beyond what it was designed for. With both filter frequency and resonance parameters so easily accessible, bass sounds could be twisted into just about type of ecstatic squeal, and it became such a famous sound that it is still in demand today. 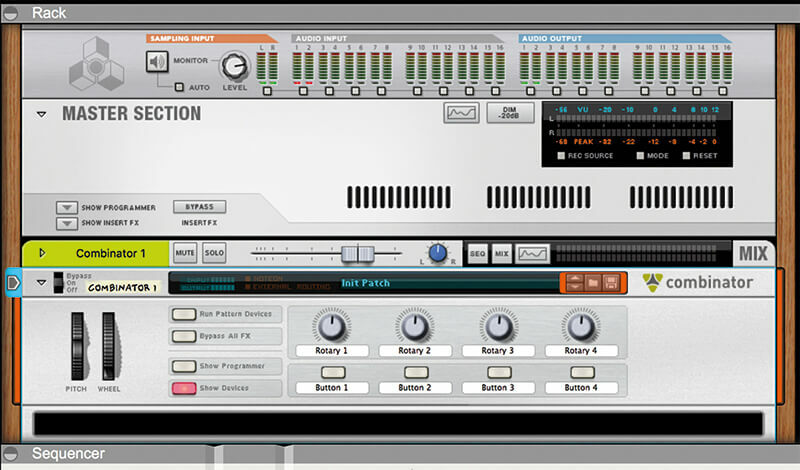 the ones in Reason, anyway – so you’ll probably have experimented with them already. What we’re going to explore in this tutorial is how to get some of the dynamics that those two controls introduced into a more flexible and contemporary sound. We’re going to show you how to program a bass sound from scratch, but take it up a few notches so that it sounds dynamic, interesting and fresh on each note. So while last time we were talking tame, this time we’re talking about bass sounds that bubble away and don’t sit there quietly. 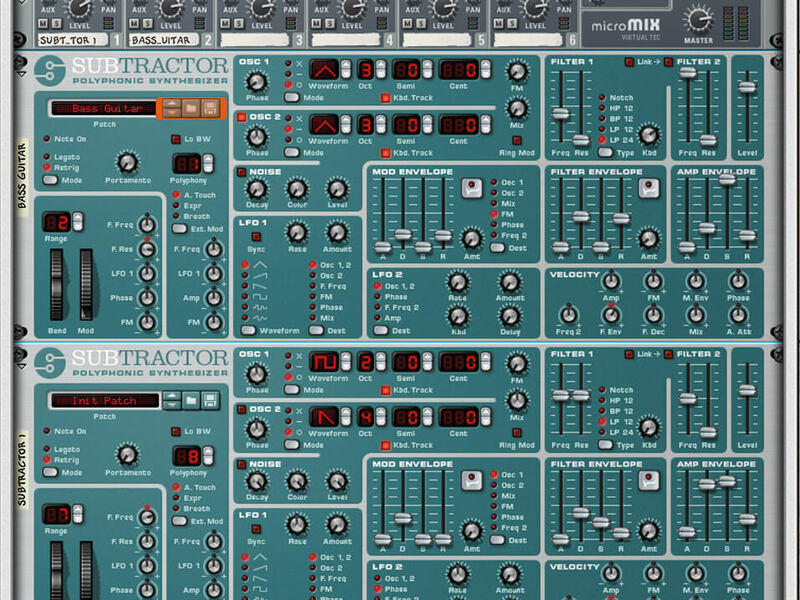 To be honest, there are any number of instruments within Reason that we could use to demonstrate some of these techniques, but Subtractor is the one we’ve chosen. This is largely down to its very clear interface and signal flow; it’s dead easy to understand and you’ll soon turn a fairly tired bass sound into one that moves around all over the place. 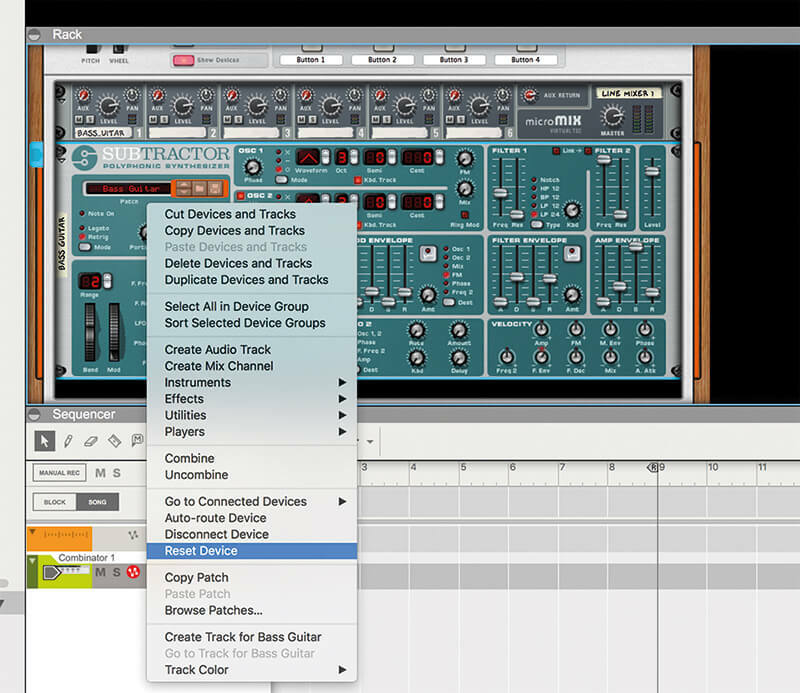 As usual with this sound-design series, we’re doing everything in a Reason Combinator. It’s not essential, but does offer just that bit more flexibility should you want to layer some of your results together. 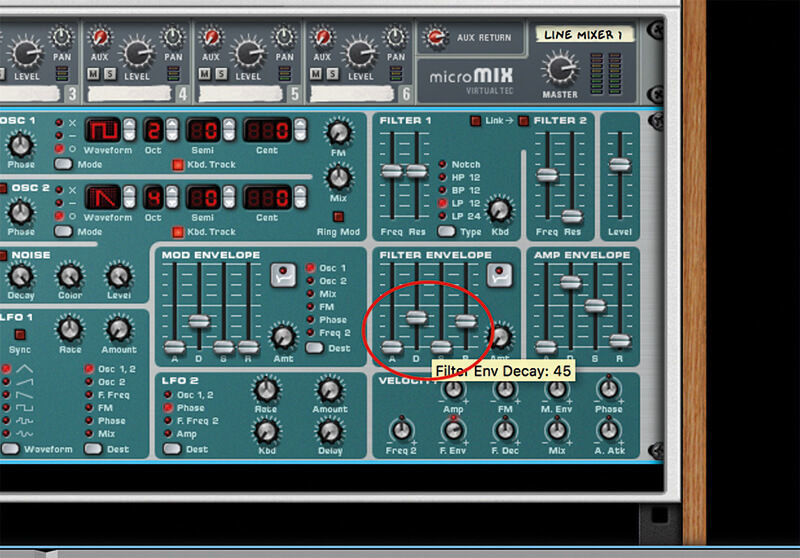 Also, particularly in this case, it’s a good idea to have a couple of instances of your synth layered, because as soon as you start messing with filters and envelopes, some sounds can run away. So having a good sub underpinning your sound is a wise idea. In this case, we’ve simply got another instance of Subtractor with a solid bass sound, just to give all the bass a decent foundation from which to build on. 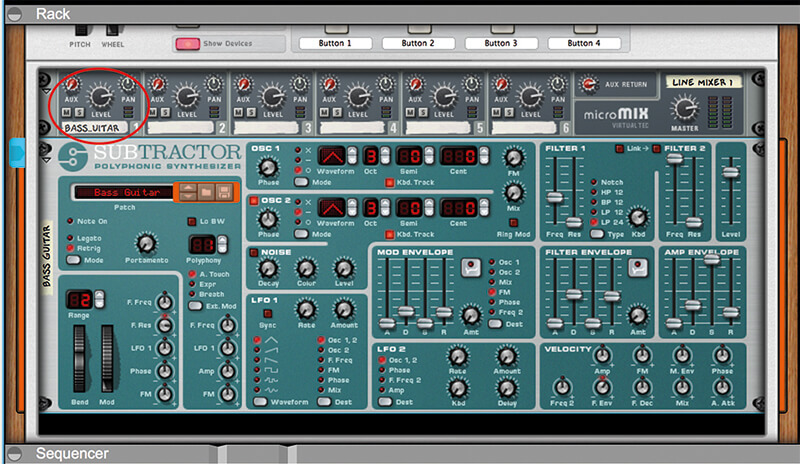 We start the workshop by showing how to create a simple bass sound in Subtractor – it’s a lot easier than you might think. 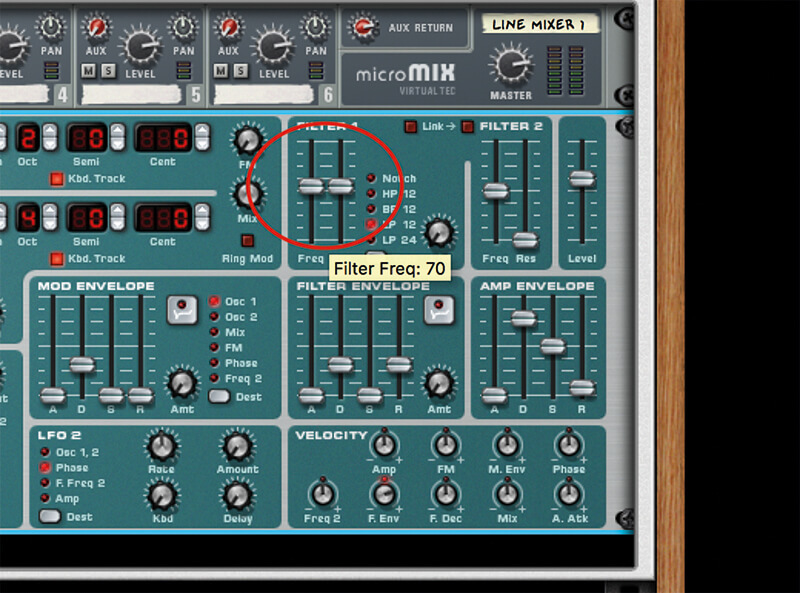 Then, the trick is to introduce more interest and movement into this bass sound by adjusting the filter frequency and resonance. You can then edit how these change over time by adjusting the Filter Envelope section. Already, this introduces a ‘wow’ sound, but you can then control it – to a certain extent – with the velocity of the notes. 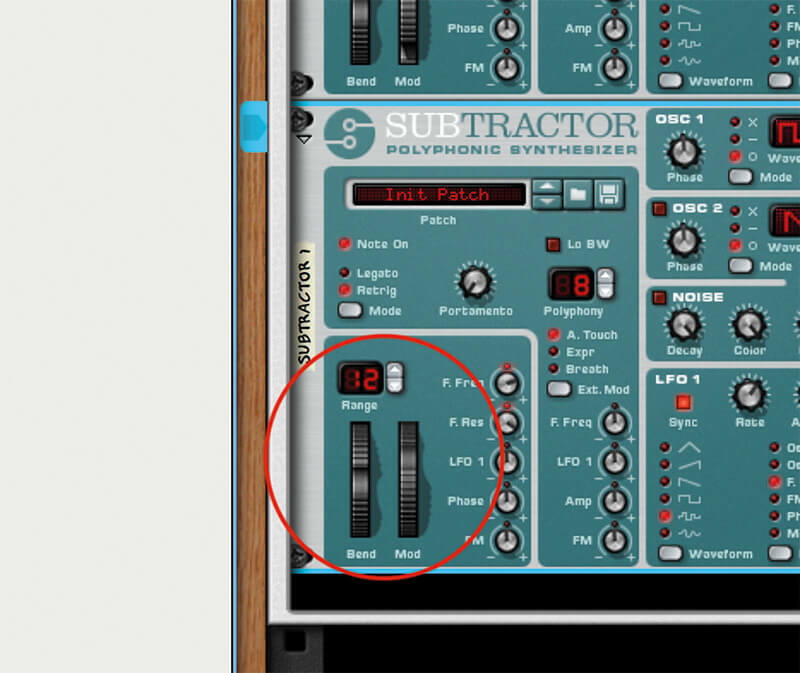 By using Subtractor’s Velocity section, it’s simple to tie velocity to other parameters, so the harder you play or record a note, the more dramatic the results. There are several you can experiment with in here, and like all of our workshops, you needn’t stick to the exact numbers we’ve used. 1. First, drag a Combinator into your rack. 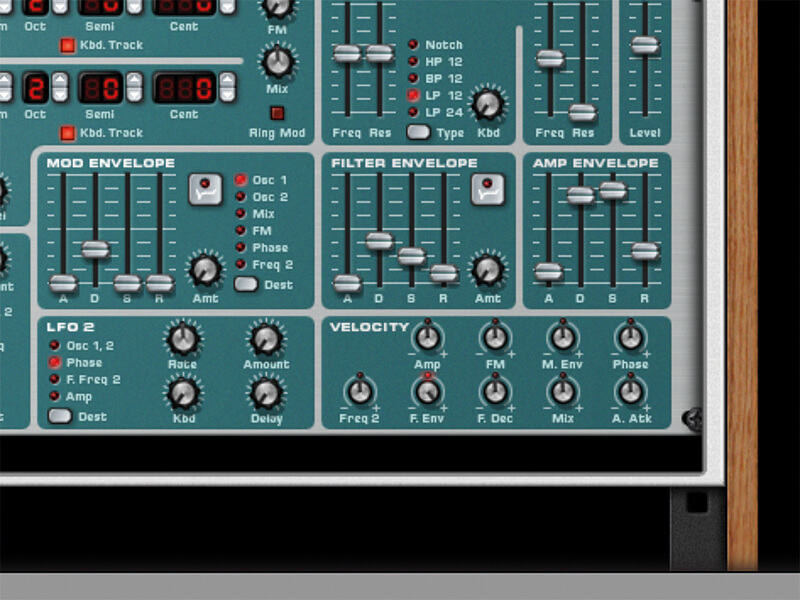 Not essential, but we might find ourselves needing another instance of our main synth later, and this setup offers that flexibility down the line. 2. 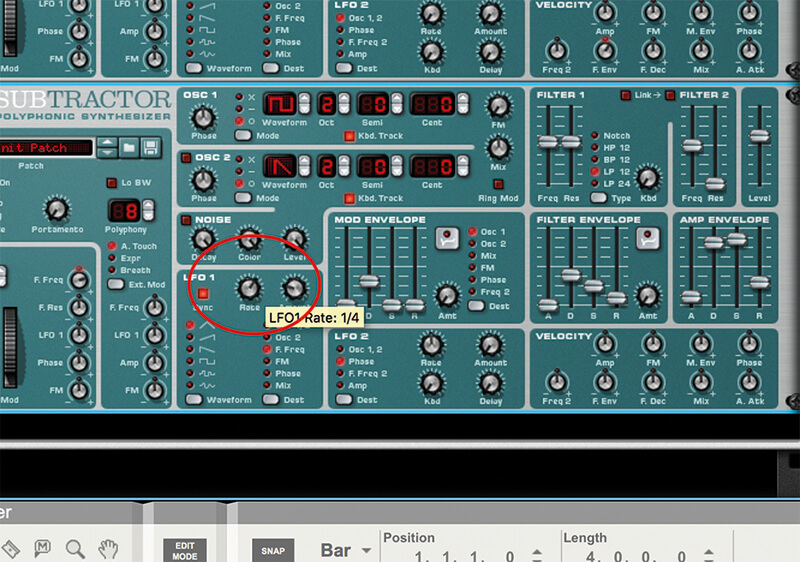 Now drag a Line Mixer from the Utilities folder and your first Subtractor into its first channel. If you like, you could also drag another one into Channel 2 to be used later. 3. 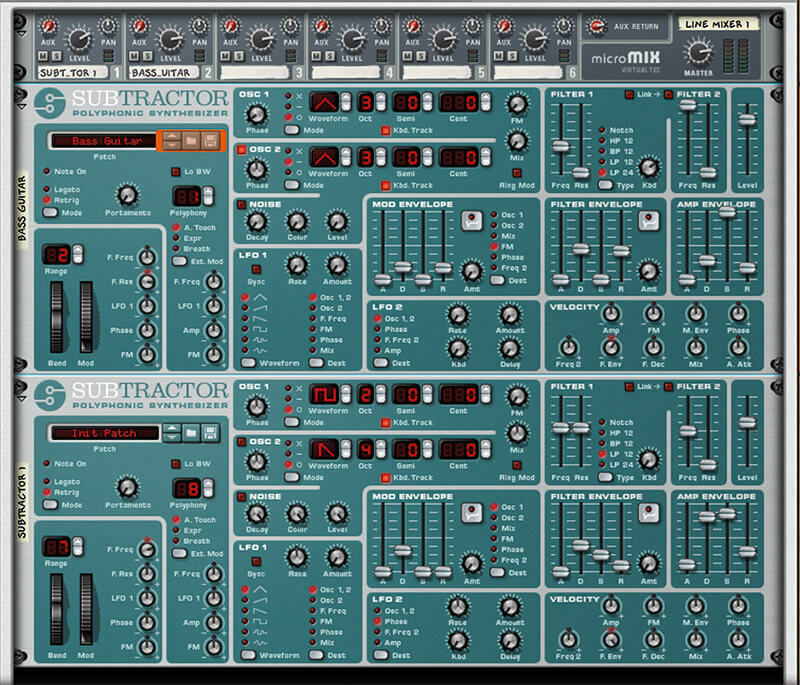 In order to get some basic bass synthesis going, we’ll reset Subtractor – so Ctrl-right-click on it and select Reset Device from the drop-down menu. It should now say Init Patch as the preset (and sound pretty rubbish). 4. 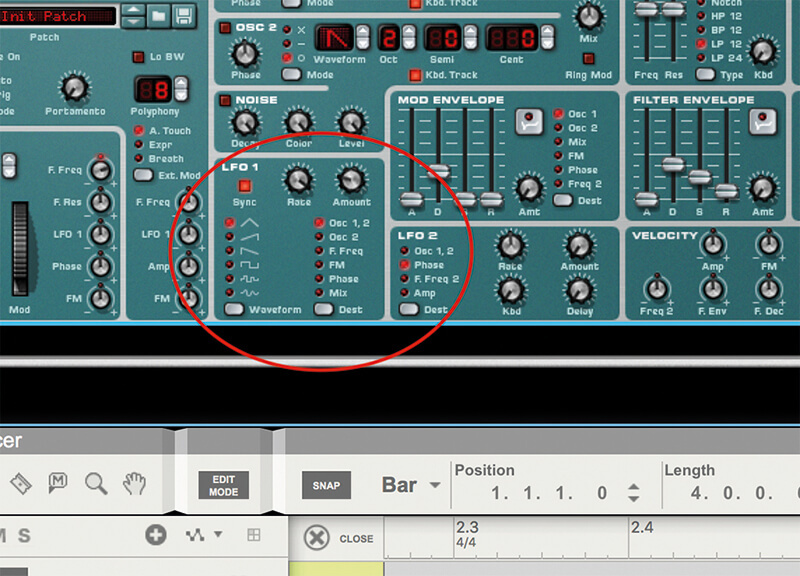 The sound is too high for a bass sound, so reduce the Octaves dial for Osc 1 to 2. 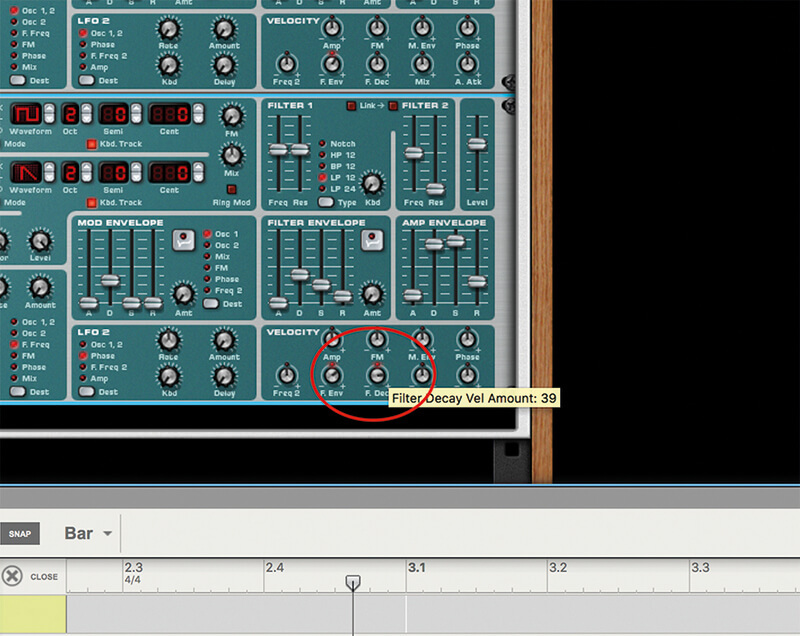 Select the square-wave waveform by clicking the Up button once, and you’ve just programmed a bass sound! 5. Like the TB-303, the Filter and Resonance dials are key here. Set them on about 70 each, although this is very much to your taste. 6. The Filter Envelope section is where you can start bringing in some movement. Experiment with the Decay slider in particular here. The higher it goes, the slower your filter sweeps. IT’S ALL ABOUT THE BASS, RIGHT? Wrong! Funnily enough, while we concentrate on bass in this workshop, you could easily apply the principles of movement and dynamics here to any sound, particularly leads. So once you’ve mastered your lows, move to your mids and highs. 7. 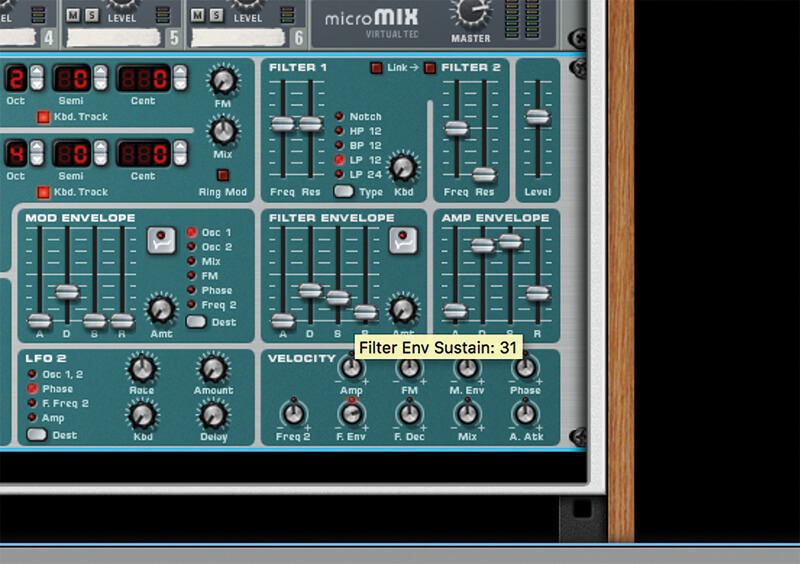 Still in the Filter Envelope section, now experiment with the Sustain control. The higher you go, the more raspy the sound. We settled on around 30, for a nicely rounded sound. 8. The sound is starting to move around a lot in definition and we’re in danger of losing the bottom end too much. So, if you didn’t before, load in another instance of Subtractor. 9. This should give you more clout and keep everything nicely joined up. You can either repeat the above steps 3 and 4 to initialise the synth and then choose low Filter Frequency settings. 10. Or, rather than loading in another instance of Subtractor, another option would be to simply introduce another oscillator to add some low-end strength. Click on Osc 2 to hear this in action. 11. Now we’re going to introduce more movement, which is defined by how hard the notes are played using the Velocity section (bottom right). Depending on which one you select, each parameter here will alter according to note strength. 12. 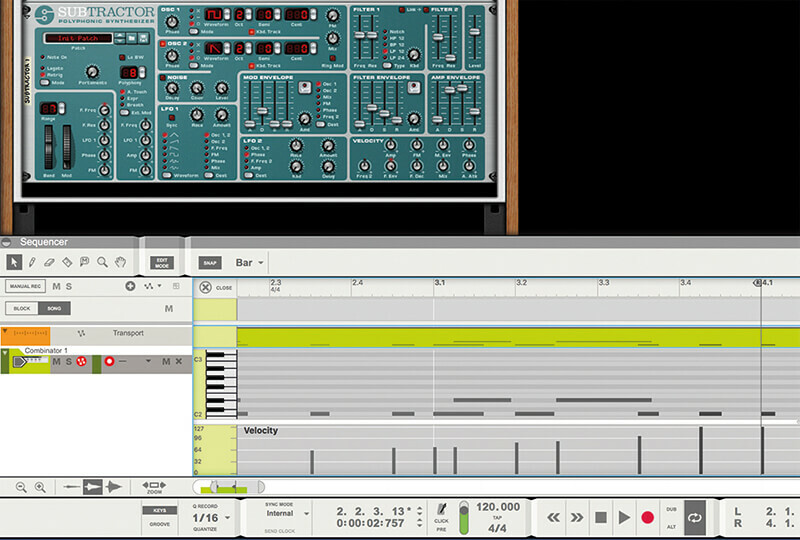 Make sure you have a programmed bassline, with varying velocities to hear how each one alters around a loop. Time to experiment, although the F. Env is a good place to start. 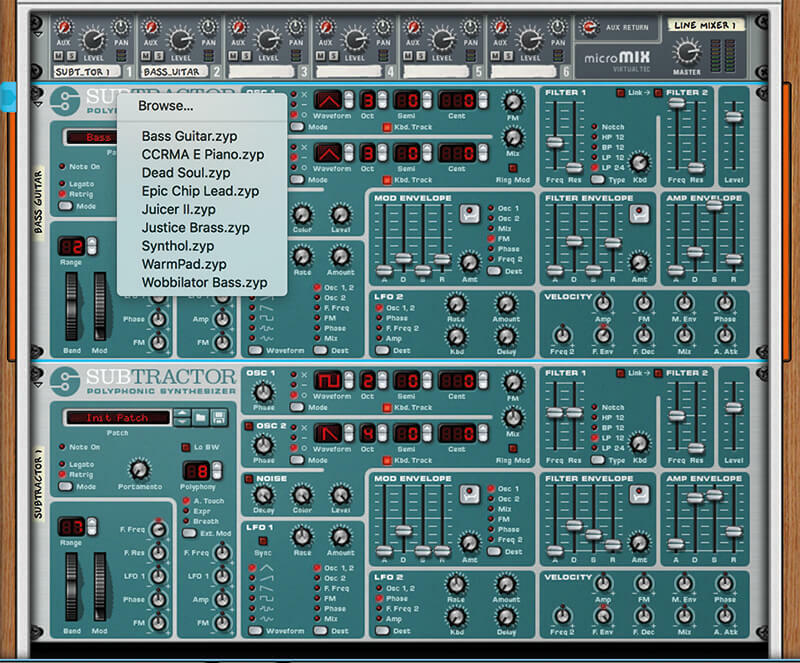 TRY IT WITH OTHER SYNTHS As we say, there are plenty of other synths in Reason that will let you program more movement into their bass sounds (and other sounds, come to that). As long as they let you access the filter envelope and have LFOs to modulate, you can get all the movement you need. 13. 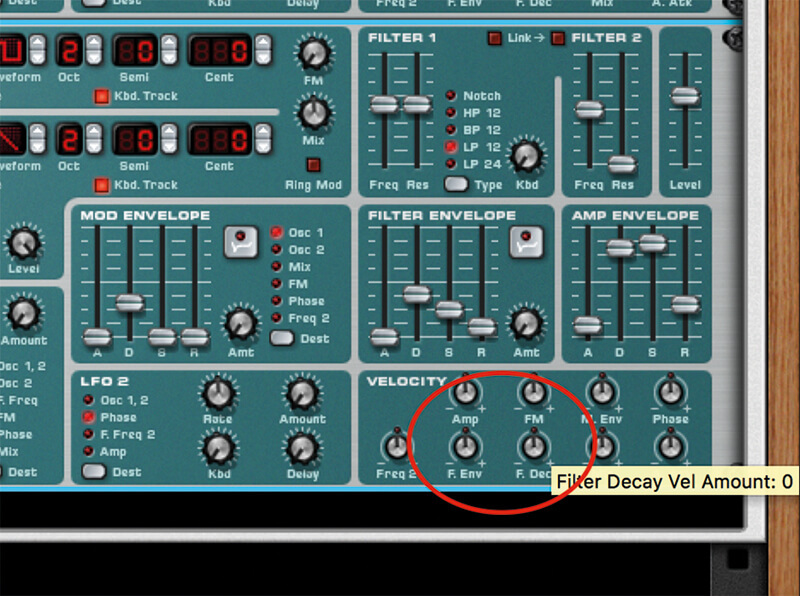 Adjust the F. Dec dial in the Velocity section to get a pleasing rising sound as the velocities increase. This is very much like the acid squeal from the original 303, but a little more contemporary. 14. 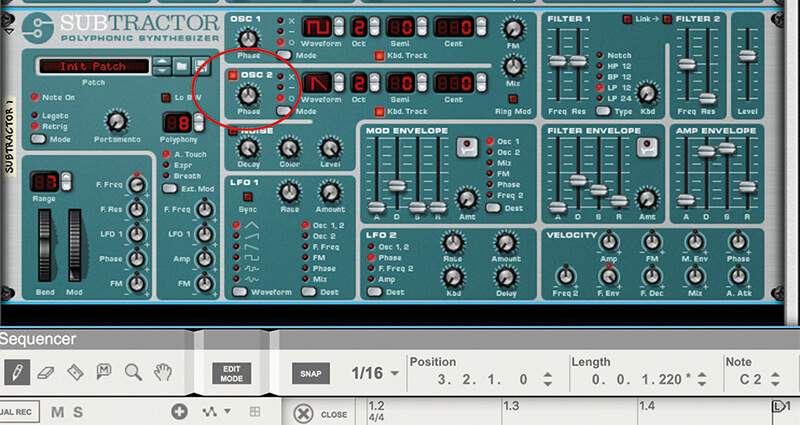 Now we’ll turn our attention to the LFO section, the final part of Subtractor that can add interest and movement to our bassline. So it doesn’t get too manic, reset any dials in the Velocity section you have edited. 15. 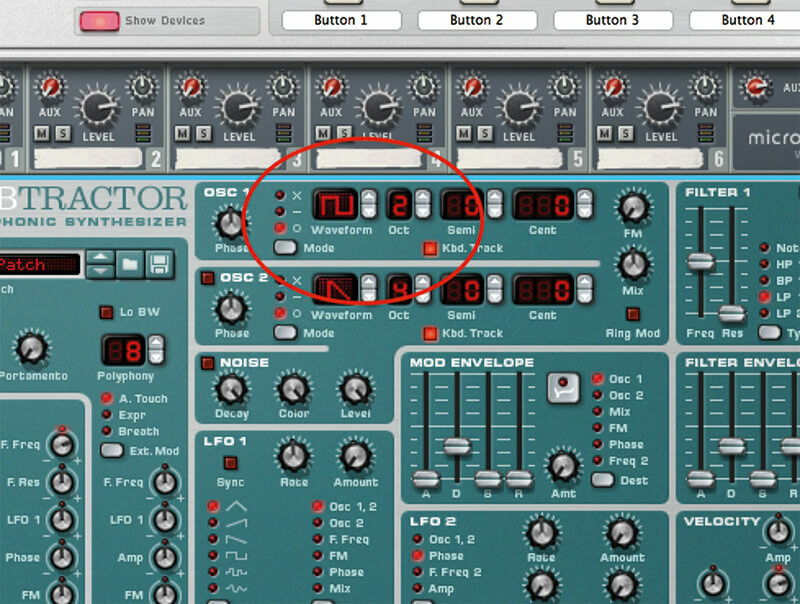 Click on the LFO1 dial as shown. Here, we’re using another oscillator to modulate different parameters, like filter frequency, and rather than based on velocity, we choose how fast (Rate) and how much (Amount) it works. 17. 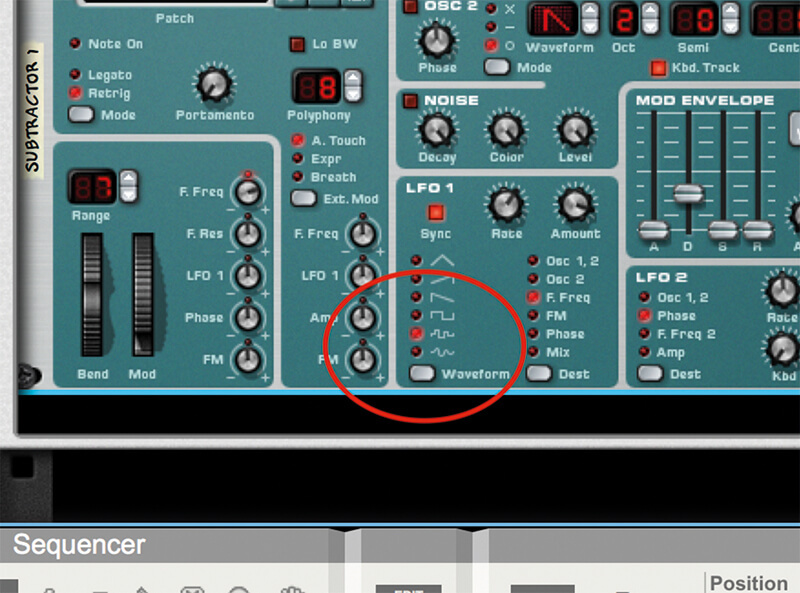 Keep F.Freq as the selected destination for the LFO at the moment and now select the Random wave which gives you a completely different filtered sound for every note hit. Very cool. 18. Finally, you can use the mod-wheel section (bottom left). Increase both F. Freq and F. Res by about 30 to 40. Moving the mod wheel now pushes both values to squealing levels. Remember: experiment, experiment!